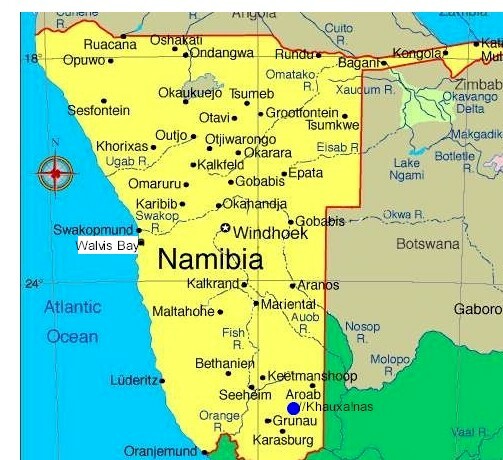 Cornerstone Guesthouse is a small, private, peaceful Bed and Breakfast establishment within easy walking distance of the sea and the town centre of Swakopmund on Namibia's fascinating Skeleton Coast. 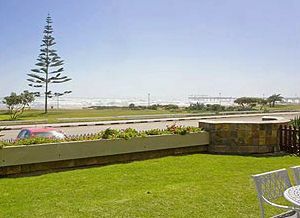 Occupying a quiet corner of Swakopmund's old town near the marine museum and the old brewery, Cornerstone Guesthouse offers the charm and intimacy of a family run B&B combined with the modern amenities of a luxury hotel. 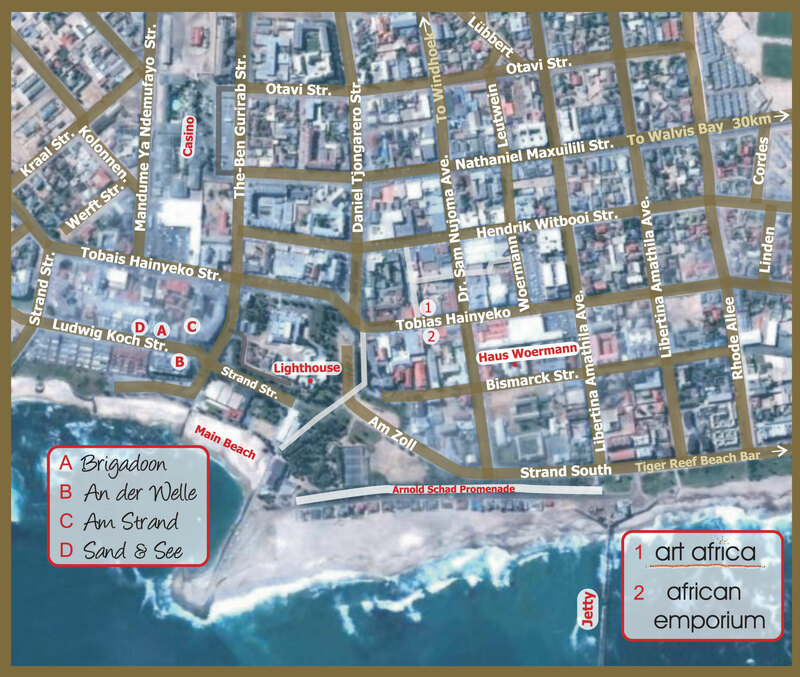 Within a few minutes you can walk from the Guesthouse to beaches, cafés, restaurants, lively pubs, Swakopmund tourist attractions and a variety of interesting shops and markets in the town. 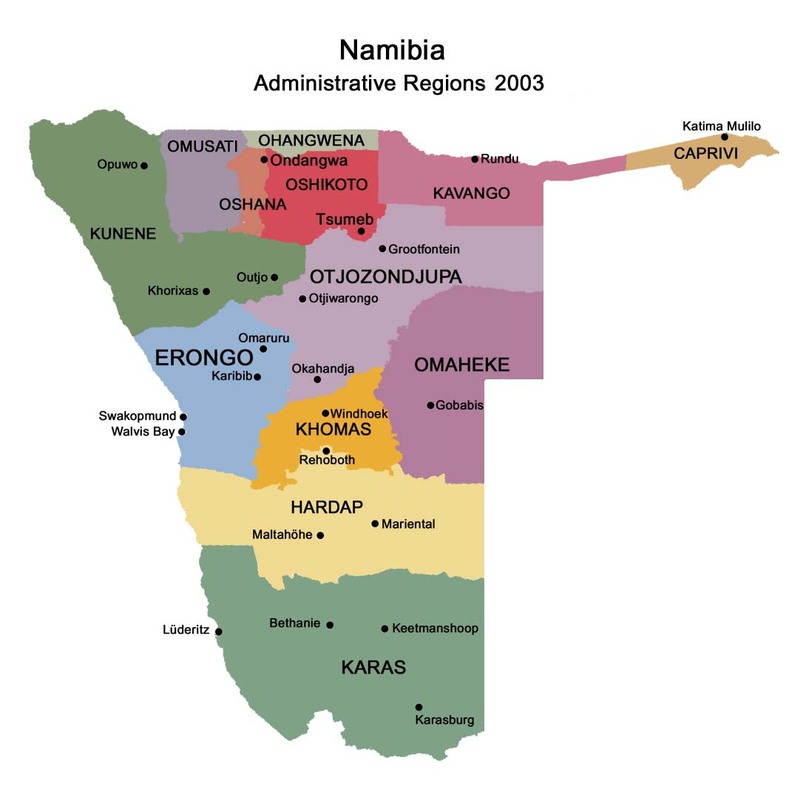 About half an hour by car Walvis Bay offers wide-ranging opportunities for viewing marine wildlife. 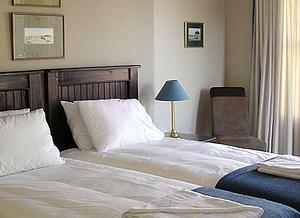 Cornerstone Guesthouse offers bed and breakfast accommodation in five rooms. The rooms each have a private entrance and patio with table and chairs. 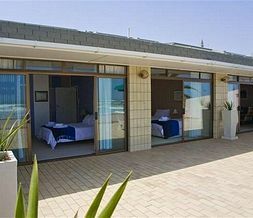 Inside, the rooms are light, spacious and neat, with tile and wood floors, beach house colours and your choice of double or twin beds. 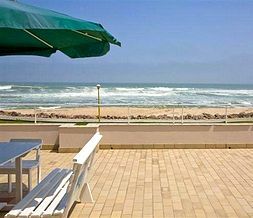 Separated by the promenade and a well-tended public garden, An Der Mole is a luxury apartment in a prime location on the edge of Swakopmund's main swimming beach. 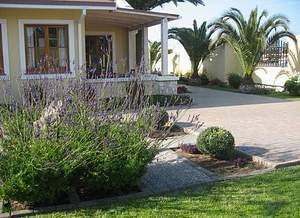 An der Mole self-catering villa has three bedrooms and two bathrooms with a main en-suite. 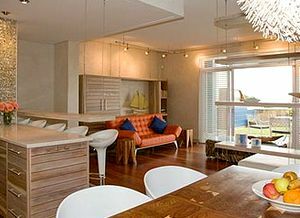 The massive balcony has a barbecue that overlooks the sea and the apartment is fully furnished to luxury standards. NOTE: Guests at An der Mole must please collect the keys from Cornerstone Guesthouse. Separated from the beach by a very quiet road and a well-tended public garden, Atlantik Sicht is a stunning new luxury apartment block opposite the National Marine Aquarium, near the southern limit of Swakopmund, but still within easy walking distance of the town centre. 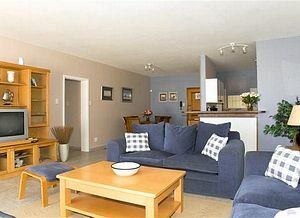 The spacious ground floor apartment opens on to a beach-facing front garden. It has three bedrooms, one with en-suite bath and spacious shower. A shower-room is shared between the other two bedrooms. Completely furnished and fitted to an exceptionally high standard. NOTE: Guests at Atlantik Sicht must please collect the keys from Cornerstone Guesthouse. 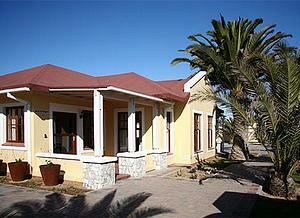 Cornerstone Guesthouse co-ordinates: S 22' 40.932 E 014' 31.641.